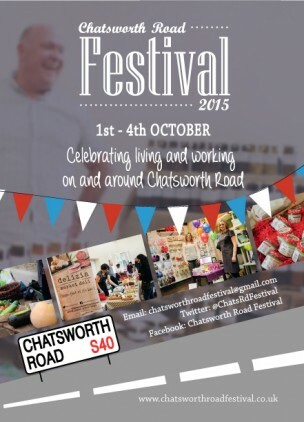 It’s that time of year again, the Chatsworth Road Festival is nearly here and at Chatter we have planned some exciting events for you all. This year will be the 4th year of the festival, where local businesses, charities, services and the community come together to celebrate living and working on and around Chatsworth Road. This year we are offering 3 events and there is a brief summary of each below. A link to all the other fantastic events happening during the festival will be available soon. Beth and I look forward to seeing you soon!! Little Chatterboxes Nursery and Preschool Groups. Location: Various Nurseries / Pre-schools by advance booking. Come and join Chatter Independent Speech Therapy for an afternoon filled with fun activities for the kids. All the activities are focussed around developing children’s speech, language and communication skills. Craft, story telling, singing, signing and more. All activities free and for all abilities, plus chat to our Speech and Language Therapists. Location: Brampton Therapy Centre, 349 Chatsworth Rd Chesterfield, S40 2BZ: courtyard and therapy room. Do you have concerns about your child’s speech, language and communication skills? Chatter Independent Speech Therapy are offering FREE advice and screening sessions to help local families. Sessions last 20mins, and are for parents, carers and their children aged 18months-15years. Please contact us to book your slot now, some walk in slots will be available on the day. Location: Brampton Therapy Centre 349 Chatsworth Rd Chesterfield, S40 2BZ: Therapy Room.